Located in the easternmost part of India are ‘The Seven Sisters’. Manipur is one of these and its name literally means ‘Land of Jewels’. Not for precious stones but for its overwhelming nature, rich of fruits and vegetables which serve as healthy and tasty sources for Meira Foods products. The social enterprise is the latest of Women on Wings’ business partners. Meira Foods provides women of Manipur the opportunity to manufacture the best homemade food from local fruits and vegetables. Women on Wings supports Meira Foods in its growth so more women can be engaged. 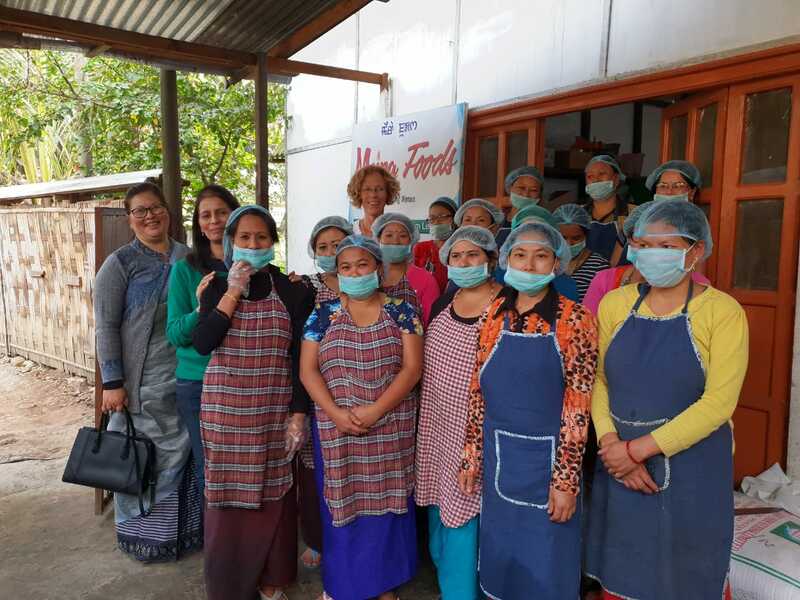 After the initial field assessment by the Women on Wings team, the findings were that Meira Foods needed support in restructuring business strategy, training modules and to increase the number of women in food processing so that livelihood creation for thousands of women can be created. Secondary objective, though an important one, is also to improve the quality of products so as to market them internationally in a more effective manner. Using technology effectively, Women on Wings consulted with Meira Foods’ team in Imphal, Manipur, over Skype from Gurugram. Both teams had sent their questions prior to the online workshop so that also time could be used effectively. The Golden Circle Concept and SWOT analysis were used to look for answers to the questions raised. The teams discussed many topics, like how to improve quality control, how to tap national and international markets, what technical support is required and is the second line of management in place.